The Doimo Cityline, leader in bedroom manufacture in Italy, is starting new series of kids room furniture during the Salone del Mobile 2009. It called Barbie, because it’s the name that attract girls all around the world for 50 years. 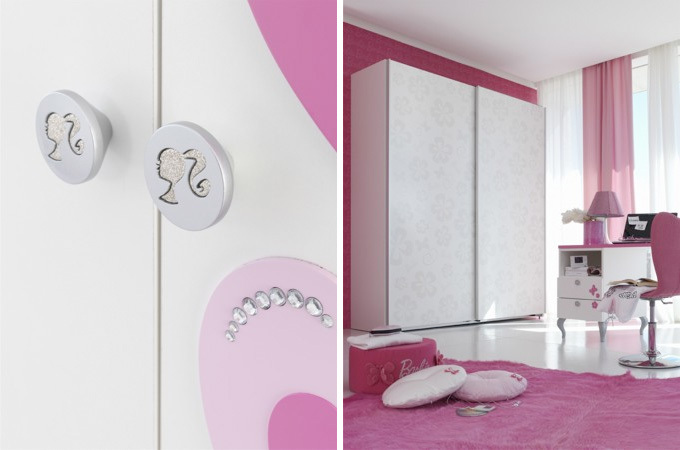 There are 4 different kinds of rooms in the collection: Diamond, Glam, Gloss and Romantik. All of them use usual in quality and functionality cabinets from other Domino Cityline collections but have Barbie’s spirit in everything. 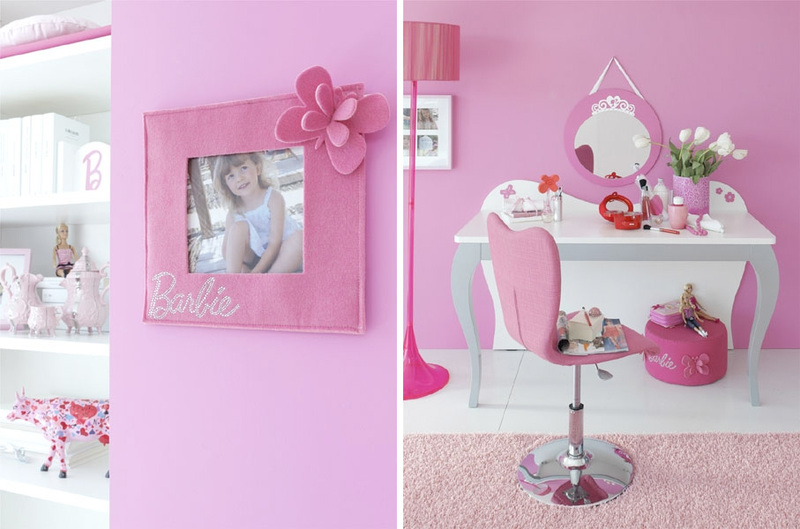 Rich pink colors, Barbie’s symbols and large variety of room parts could be find everywhere and will make happy your princess. There’s even the possibility to decorate things with Swarovski crystals.